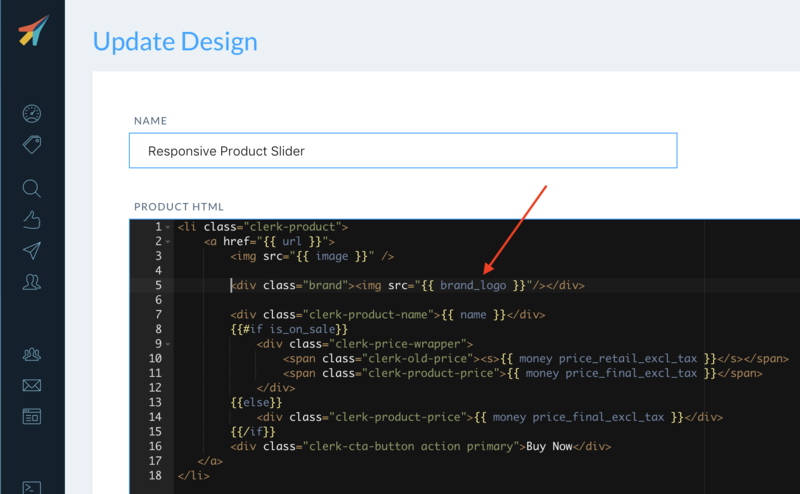 After adding custom attributes to Clerk.io from Magento you can easily show them any way you want in the Design. Start by going to Designs in my.clerk.io, and choose the Design you want to add your attributes to. Click Update Design and your changes will take effect immediately.